Catch the Bay Area cat-behavior consultant and founder of Go Cat Go on a new TV show this fall, "Animal House." 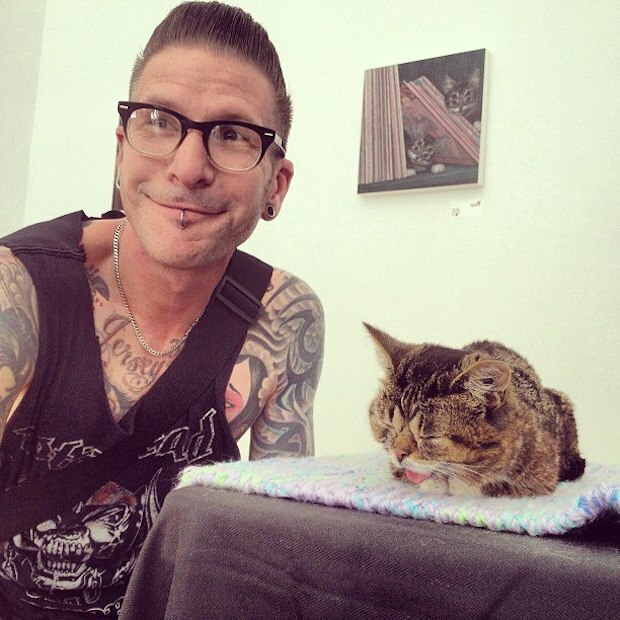 Daniel "DQ" Quagliozzi, who we first talked to last year, didn’t always like cats. 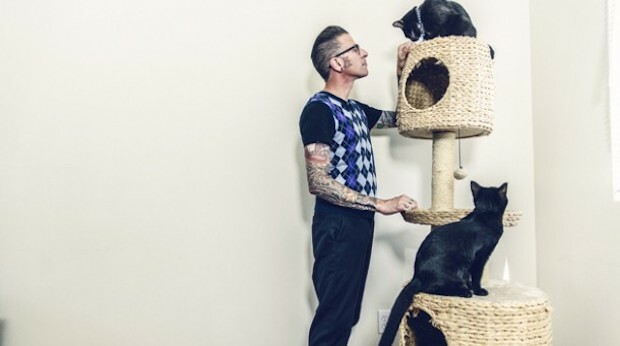 "It never occurred to our family to have cats,” he says of his childhood in New Jersey. “Our neighbors had a cat, and we’d spray water at him and tell him to get out of the yard. We just didn’t really respect cats." But then he moved to the Bay Area and got a place in Oakland. There were several friendly community cats, which would go into his backyard. While at first he “did his thing” with the hose, there was one huge black cat who kept coming back. And one day, DQ says, "I let him in my house. And I kept him. He was coming back every day despite what I was doing, and I thought, ‘I have to respect this,’ so I just surrendered. And I fell in love with him." DQ’s first exposure to the SPCA was when he went in to adopt his next cat. Eventually he got a job there doing intake as well as behavior consultations over the phone and via email. He loved his work, but says he felt like he was dead-ending in what he could offer people. "I was giving people theoretical advice because I couldn’t look at the details myself, and I found they’d already heard the boilerplate answers." DQ felt like he was hitting a wall, as were the people he was trying to help. He told himself, "I have to devote myself to being available in their homes." 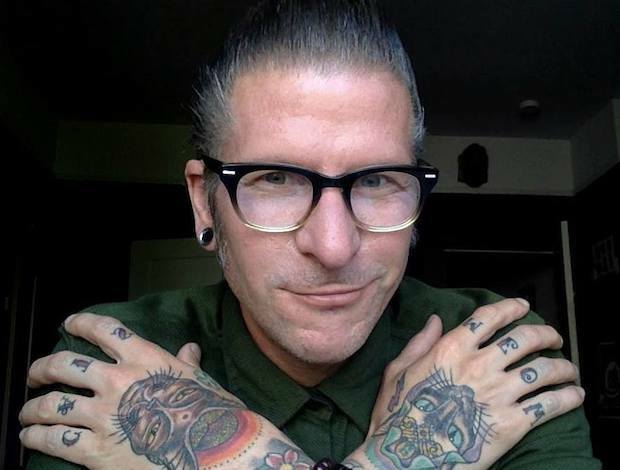 His passion has always been education, so he decided it was time to take his unique perspective and expertise on the road. Enter DQ’s cat-behavior consulting company, Go Cat Go. People call DQ for reasons ranging to littler box avoidance to marking to aggression. He says his work now "really bridges the gap between doing what I loved at the SPCA and feeling like I am really able to make a difference." DQ usually stays at someone’s house for an hour or so in order to assess the situation from all angles. He admits that most of the time, his job is to show the owners what they need to change about themselves and their behavior. He says, "I’m sort of like a family counselor." "A cat does not answer to you," he explains. "You are, for the most part, surrendering to them. So I teach people that — and that a cat does not put the same emotional value on his actions that they do." His work doesn’t come without challenges, though. "I’m an advocate for the animal," he explains. "And I have to voice what the problem is without being judgmental of people or their experiences or what got them to that situation." And once he does that, he has to have faith. "I just have to know I am giving them the best solutions I can and hope that they can change parts of their lifestyle they don’t necessarily want to change." It’s not always easy, though — we live in a world where people expect immediate gratification and easy solutions. DQ says, "A cat does not respond to quick change. It has to be gradual, routine, predictable." He finds it can be difficult to make people realize they need to spend conscious time with their cat. That cats need enrichment and activity. "People fail at that," DQ says. "The biggest challenge is saying, ‘I understand you’re a busy person, but you hired me to give you solutions. Take action or don’t.’"
Luckily, in his next adventure, DQ will have the ability to really help people implement the changes he sees necessary. Starting this fall, you’ll be able to see DQ on the TV show Animal House, an Extreme Makeover-type show where they’ll be building dream animal shelters in struggling communities. Making sure shelters have the knowledge and resources they need to succeed is something DQ has always been passionate about. 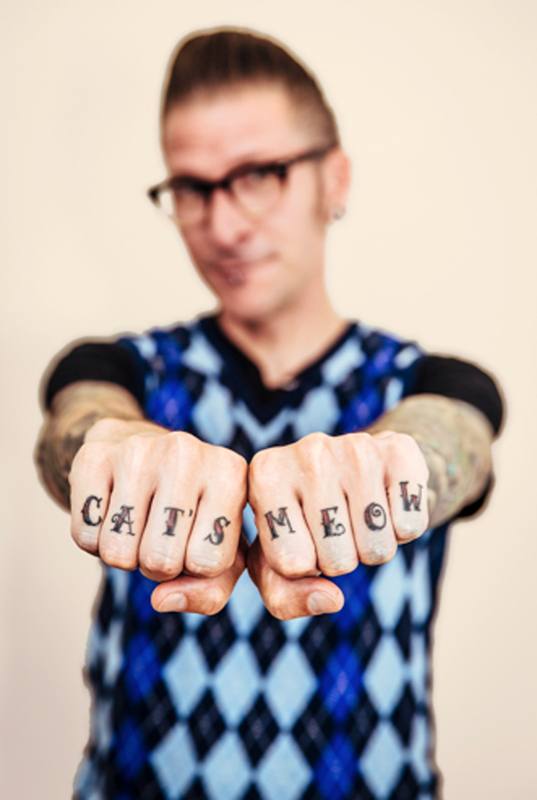 "The SF SPCA is a very cutting-edge place," he says. "The philosophies are advanced. It’s a facility that gets it right. This is a great way for me to take all of the knowledge I absorbed while working there and share it." DQ admits he expects to see some pretty shabby conditions, but he is excited to change that. "In my dream, every shelter has the option of having comfortable and clean, single housing, where a cat has the ability to feel safe, a place to hide, and a place to go up off the ground, along with having space far enough from where he defecates. But I also want to see an option for group housing for cats who get along with other cats." DQ knows that he is going to face some tough roadblocks as he goes into these rural areas and communities. "It’s a job where you literally have to change people’s ideals, because maybe some people don’t feel cats are worth it. I’m hoping that with a little bit of creativity and a little bit of knowledge about what makes cats happy in those environments, it will trickle down. I’m hoping to change the consciousness." He’s ambitious, yes, but if there’s one person who can use his passion to create change, it’s DQ. We wish him the best of luck. 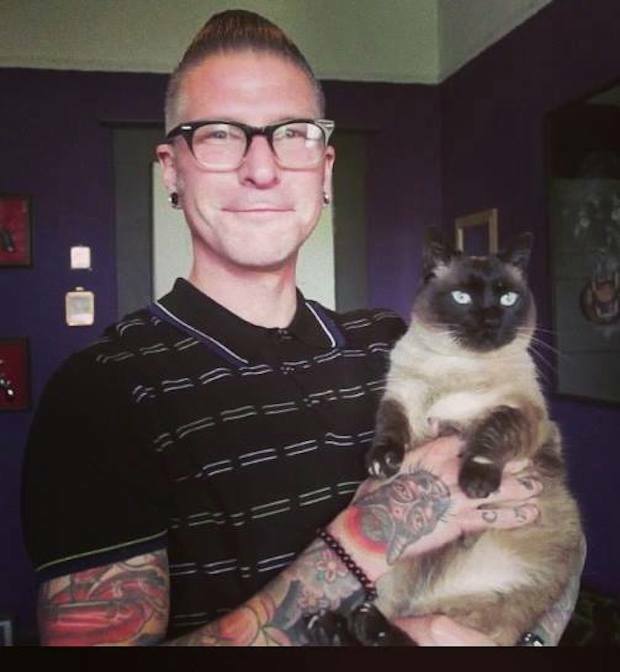 If you live in the San Francisco Bay Area and are having issues with your cat, you can find out more about Daniel and his cat behavior consulting at Go Cat Go; also, check out his Facebook page and Animal House‘s Facebook page.